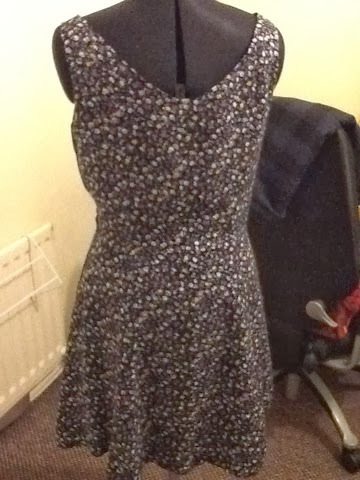 It has been a while, but I've finally got back in to sewing and created a Simplicity 6020. 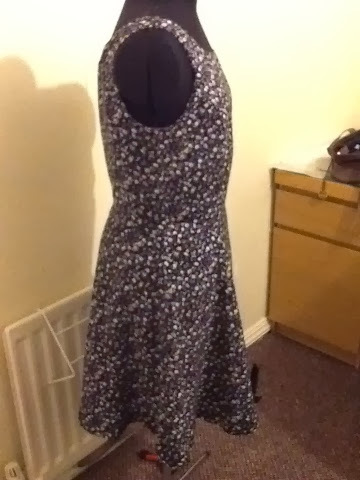 This is possibly the quickest, easiest dress I've ever made. That's not to say that I made no mistakes. 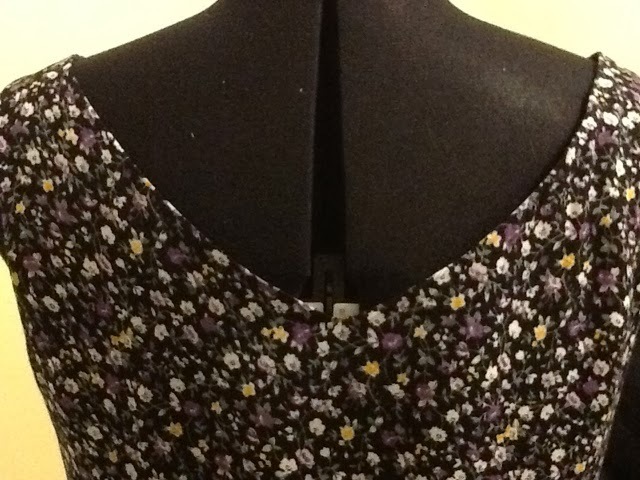 It all got a little confusing when it came to the lining, when I decided to stitch it to the wrong side on the neckline! The dress is constructed with front and back princess seams that run from the bodice down through the skirt, to make a fit and flare shape. For some reason the side zip sits funny on the dummy, but it's not too bad when it's on. I went for a lapped zip to make it look neat and I was quite impressed with how it turned out considering it was my first. The fabric was some that I'd picked up from Pauline's on Darlington Market for about £5 per meter and I lined it with purple anti static lining. The back is in a lovely 'v' shape, showing a little bit of black. 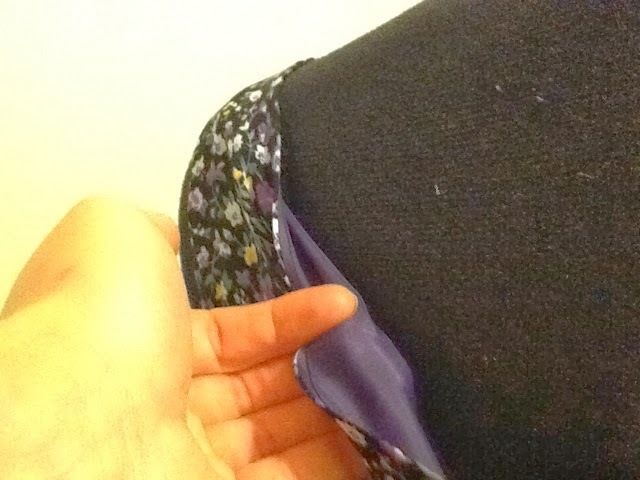 I love the little flowers and I'm glad I went for purple lining rather than boring old black. However, the camera on the iPad makes it look like I used black, but it's definitely a Cadbury's shade of purple. 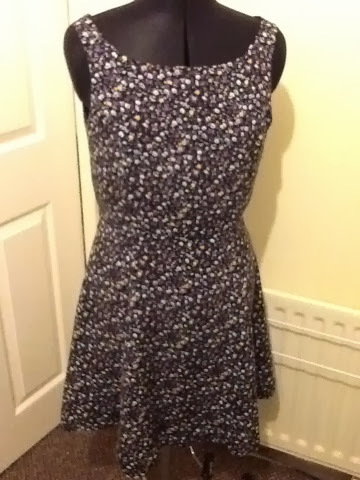 I wore the dress last night when we went out for a family meal and I felt like such a lady. I'm going to have to make another of these, but next time I'd make some amendments to the bodice, the shoulders were a little wide, so I had a little gaping on the chest neckline.